Q 1. What Key factors/Ratio should be looked at while carrying out Fundamental analysis? Q 2. In fundamental analysis while analyzing a company ,what factors should be considered ? The Management or the administration of the company. The Annual Report of the company. Financial Statement Analysis of the company. Financial Ratios calculation from the same. Q 3. Can you through some light on Technical Analysis trends? In our day to day life what do we mean by trend? It simply means the way of moving of particular situation or thing. In Technical Analysis also, a trend means the same that is the direction in which a security or market is moving. Bullish Trend – Bullish Trend means moving of stock continuously in upward direction. Bullish Trend means the overall rise in broad market indices. Bearish Trend – Bearish Trend means moving of stock continuously in downward direction. Bearish Trend in simple language means the fall in market indices. Investors considers bearish trend as a pessimistic scenario and go short on that particular stock. Range Bound/ Flat Trend – Range Bound/ Flat Trend means stock is neither making movement in upward direction nor in downward direction. Means it is playing in the similar range. Q 4. Can you please explain Support and Resistance concept in technical analysis ? Support and resistance are the levels which show the movement of stock. Support is a price level that a stock tried to cross below, but ultimately stayed above. Support is level which has the lowest closing price value of five consecutive trading sessions. Resistance describes a price level that the stock tried to cross above, but could not. Resistance is the level which has achieved high price value of five consecutive trading sessions. 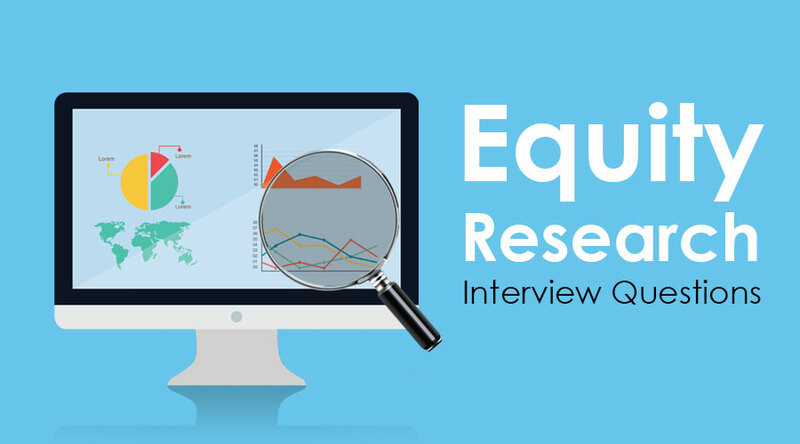 Here are some articles that will help you to get more detail about the equity Research interview questions so just go through the link.